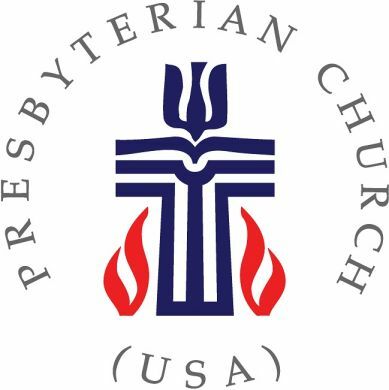 (PC USA)The seal of the Presbyterian Church (USA). The year 2012 is shaping up to be another one of steep membership decline for the Presbyterian Church (U.S.A) as nearly a dozen congregations have already finished their process of separation from the group or are continuing it. On February 11, congregations in Davenport, Wash. and South Charleston, Ohio were officially dismissed by their presbyteries, concluding a three-year and nine-year process of consideration for the respective churches. Both churches, like many before them, cited theological differences, particularly regarding the ordainment of active homosexuals, as their reasons for leaving. In a Jan. 23 letter to PCUSA, Lorie Klahn, clerk for Davenport First Presbyterian Church (DFPC), called the denomination's current teachings "alien and inimical to the Christian faith," and referred to the recently passed Amendment 10A as an "abandonment" of PCUSA's "Biblical, historical, (and) Reformed heritage," according to The Layman. Amendment 10A, which was approved by a majority of PCUSA's presbyteries last May, removes the requirement for ministers to live in "fidelity within the covenant of marriage between a man and a woman or chastity in singleness," effectively allowing for non-celibate homosexuals to be ordained. Since the passage of the amendment, 38 churches have either left or began the process for considering dismissal from PC(U.S.A), marking the group's largest decline since 2007 where over 57,000 members left the church. Controversy in 2007 was sparked by a third attempt from the PCUSA's General Assembly (GA), the group's highest governing body, to eliminate the "fidelity and chastity" amendment as well as a motion to remove language concerning "homosexual perversion" from the Heidelberg catechism - a long standing Protestant confessional document dating back to the Reformation. Both of the motions were eventually fulfilled in 2011. Another controversial issue leading some churches to consider leaving PCUSA is the group's recent adoption of a New Form of Government or "nFOG." Those in support of the new structure have praised the governing "flexibility" it gives in while others accuse it of being too "top down" and diminishing of the individual church's powers. Pastor Mark Haberman of Knox United Presbyterian Church in Kenmore, NY told PCUSA last July that in adopting nFOG the group had changed "both the theology and polity of the denomination in a manner which is contrary to the beliefs and tenets held and followed by this congregation." On January 22, 2012, Haberman's church voted 148-1 to leave PCUSA. Over the last decade, more than 130 PCUSA congregations have either left or began the dismissal process from the denomination. Since the 1960's, where the two churches that later merged into PCUSA reported a peak membership of 4.25 million, more than 2 million Presbyterians have decided to find their church home elsewhere. A majority of the groups leaving the PCUSA have joined the Evangelical Presbyterian Church (EPC), a conservative group that began in 1981, which now has 115,000 members in nearly 300 churches. Others have joined the Presbyterian Church in America or the recently formed Evangelical Covenant Order of Presbyterians. The PCUSA's "gracious dismissal" policy requires that congregations join "another Reformed body" upon leaving the group. PCUSA still remains the nation's largest Presbyterian denomination and the tenth largest overall group with some 2 million active members. Official membership numbers for 2011 are forthcoming.